Please enable it for a better experience on this site. Providing physiotherapy and occupational therapy for babies, children and adolescents. At ValleyKids Therapy Services we have extensive experience working with children and their families and are passionate about helping them achieve their goals. We are registered to provide supports for National Disability Insurance Scheme (NDIS) participants and clients with a GP careplan. We can also process claims for children covered by private health funds. At ValleyKids we provide a wide range of tailored therapy services to meet the needs of the individual. Our Occupational Therapist and Physiotherapist are highly experienced in assisting babies, children and adolescents. We are able to provide services to you at our clinic, in your home or at childcare, kindy or school. We service the Barossa Valley, Adelaide Hills and Northern Country areas. Our therapists work with children through all stages – from pre-term infants to adolescents. After thorough assessment, we work with you and your child to determine your main concerns and needs to develop an individualised plan. Our therapists, Julie Gifford and Kirsty MacCulloch, have extensive experience working with children and their families and are passionate about helping them achieve their goals. Both therapists are registered to provide supports for National Disability Insurance Scheme (NDIS) participants and are registered Medicare providers. Julie is also an approved Better Access to Mental Health provider. Kirsty graduated with a Bachelor of Physiotherapy from the University of South Australia in 2001. 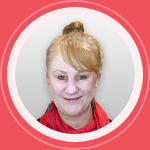 She is passionate about working with children and families and has spent her career in country South Australia, initially in the Riverland and more recently in the Barossa Valley. Kirsty has experience working with children of all ages who have a variety of conditions and difficulties, including developmental delay, disability and coordination challenges. She is committed to providing services which address family goals and have meaningful outcomes for children and families. She also has an interest in supervising students. Kirsty is a registered Physiotherapist with AHPRA and is a member of the Australian Physiotherapy Association (APA) and the APA Paediatric Group. Julie graduated as an Occupational Therapist from the University of South Australia in 1990. She has worked in a broad variety of settings in South Australia and in the USA. Julie’s work has predominantly been with children and their families but she has also worked in a range of adult services. Across her career Julie has gained a vast amount of experience working with children and adolescents with disabilities, including physical disability, intellectual disability and Autism Spectrum Disorders (ASD). 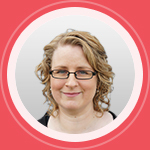 She has also worked extensively with babies and young children with a range of developmental delays. Julie is a registered Occupational Therapist with AHPRA and is a member of the Occupational Therapy Association of Australia. 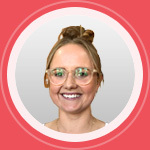 Lara graduated with a Bachelor of Occupational Therapy from the University of South Australia in 2018. She has over 3 years’ experience working with children and young adults through her work as a boarding supervisor and tutor at a boarding school in Adelaide. It was there that she developed a strong passion for working with children. More recently, she worked as a disability support worker for people living with a range of conditions and disabilities, including ASD, physical disability, intellectual disability, and neurological conditions. Lara grew up on a farm in the small country town of Port Broughton and this has provided her with a good understanding of living in a rural community. Lara is a registered Occupational Therapist with AHPRA and is a member of the Occupational Therapy Association of Australia. Fee payment is required on the day of service. Private health fund and / or Medicare claims and EFTPOS payments can be made electronically in our clinic. Services provided in community settings need to be paid in full electronically and rebate claims made separately. We do not accept cash payments. ValleyKids therapists are registered to provide supports for National Disability Insurance Scheme (NDIS) participants. Please inform your therapist if your child has an NDIA plan prior to your first appointment. For further information visit the National Disability Insurance Scheme. Many private health funds cover Occupational Therapy and / or Physiotherapy services. Please contact your individual fund to check your rebate amount. Gap fees apply. ValleyKids therapists are able to provide services for children referred under a Chronic Disease Management (CDM) Plan. These plans are arranged by your GP and entitle your child to five allied health appointments per calendar year. For more information visit Chronic Disease Management plan. Gap fees apply. Our Occupational Therapist is also able to provide services to children referred by their GP with a Better Access to Mental Health care plan. These plans entitle your child to access 6 Occupational Therapy sessions per calendar year. For more information visit Better Access to Mental Health. Gap fees apply. Please provide 24 hours notice if you are unable to keep your appointment. You may be charged the full session fee if you fail to attend or provide adequate notice. For more information about how ValleyKids Therapy Services could be of benefit, or to book an appointment, you can reach us on the following details or alternatively by filling in the below form. Please wait - submitting your enquiry. © Copyright ValleyKids Therapy Services. ABN 80 211 271 906 / 51 409 055 945. All Rights Reserved. Providing physiotherapy and occupational therapy in the Barossa Valley, Adelaide Hills and Northern Country areas.